Talking to Harriet today, you would never picture her depressed, even suicidal. Today she is optimistic and confident, planning a future that includes a career in the outdoors. She says the difference between the young woman she is now, and the troubled person she was, is RedCliff Ascent. A year ago Harriet left her home near Bath in the ceremonial county of Somerset in South West England and headed for the high desert plateaus of southern Utah. With her mother’s blessing, Harriet enrolled in Medicine Wheel at RedCliff, a therapeutic wilderness program for young adults. “I had struggled with severe depression ever since I was a little girl,” she recalls. She’d tried conventional counseling but nothing worked. The depression was so severe she attempted suicide. Two weeks later she found Medicine Wheel on the Internet. The program specializes in treating young adults who suffer with mood disorders, substance abuse, ADHD or other conditions. Founded in 2001, Medicine Wheel has helped hundreds of young people and their families. It was April when she arrived in Utah. The high deserts can still see snow that time of year and temperatures can hover near freezing. As the weeks progress the cold changes to relentless heat. Harriet’s days were about to change radically from her routine at home. Life in the wilderness was rugged at best. For Harriet and the handful of other students in her group there were no hotels, not even any tents. No cell phones. No computers. Students were not allowed to wear watches. They had sleeping bags, warm clothing, and backpacks. Making fires was a difficult process in itself. Students were not allowed to use matches. 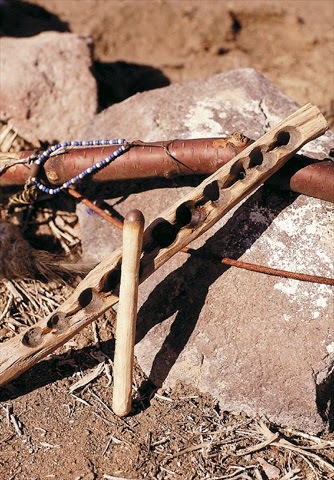 Each fire was laboriously created by rubbing a small, handmade bow across a stick until a tiny spark ignited. Then the spark was carefully cradled in a nest of kindling while the student breathed life to the flame. Making fire was part of the graduation requirements. Students work on phases, similar to chapters. In each phase they were required to learn a wilderness survival skill, develop social skills, and work on their autobiographies. They also received one on one counseling from a therapist who visited them weekly. Participating in group therapy sessions around the camp fire at night was also a requirement for graduation. “I found it really hard to talk to people. I hadn’t talked to anyone about traumatic experiences that made me depressed,” Harriet explains. As the group hiked their way through the Utah wilderness they discovered direction in their own lives. Wilderness camping skills gave Harriet a feeling of self-worth she’d never experienced before. And she learned how to voice the emotions she truly felt deep inside. Harriet says the hiking allowed her to experience things she’d never seen before. Wild mustang horses, ancient petroglyph rock art, and elk herds were part of her daily life. Her view of life began to change as her surroundings did.